Want to have the wedding of your dreams without going into major debt? With proper planning, it’s totally possible. Yes, we know many of you have been planning this event in your head for years. Okay, maybe since childhood. But there are ways to get what you want without letting the budget get way out of hand. Over the years, Jake and I have learned a lot from our wonderful clients about how they saved money and cut creative corners to afford their must have list. 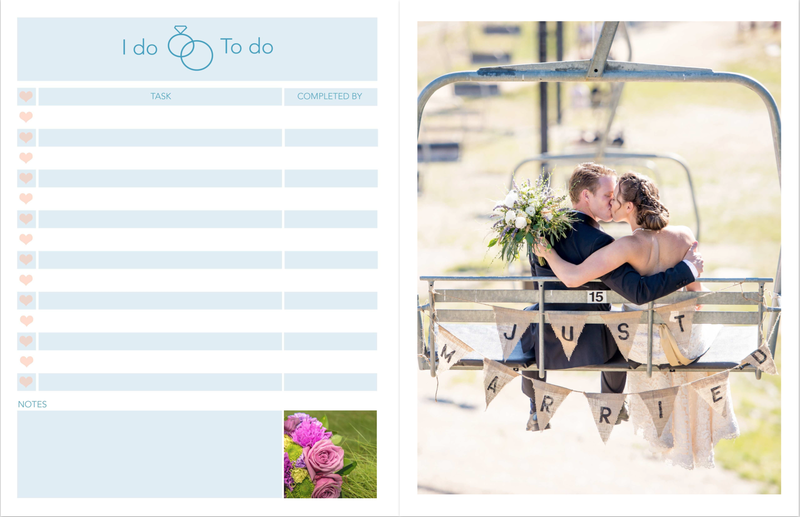 We compiled a pretty long list to help guide you along your wedding planning process. These 80 helpful money-saving wedding tips will help you stretch your big-day budget in order to help you afford the very best of what matters most! A great place to start is with a list. Prioritize your needs versus wants, make a plan — and stick to it. At the end of the day, what matters most is that you’re happy and relaxed, and not stressed over money. Make a list of the ‘must haves’ and ‘would like to haves’ – it seems simple but it can be much easier to start eliminating costs when it’s all written down. What facets of your wedding are most important to you? Focus on areas that make your heart go pitter-patter, and you’ll feel okay about skimping on the rest. Don’t get carried away with extras – do you really need a sweet table, dessert bar, photo booth, individual place cards, etc etc? More often than not it’s only you and your partner who will notice the little extras. Saving that money will allow you to spend it for your must haves like high-end wedding photography, the perfect wedding band that is a little out of your budget, or extra venue time for your reception. Not only will research find you the perfect venue, vendors and catering for your special day, it will also help you score great deals and save money for your must-need wedding items such as your professional wedding photography or maybe that dream honeymoon! Be realistic about what to DIY, and what not to DIY. Sometimes, having to get all the materials yourself and spending the time on the projects costs you more than hiring someone else to make/do it. For example: DIY-ing your flowers is risky and can get expensive fast. Shop wholesale when you can… but a professional knows how to keep them fresh, and will set them up for your wedding. 5. Be clear about your budget. If vendors know up front what you can spend, they can work with you to achieve what you want. Lots of unexpected expenses can pop up during planning, including cake-cutting and corkage fees, or power for your DJ and photo booth. If a cost seems unreasonable, respectfully request to have it removed. 7. Book vendors together utilizing preferred vendors lists. The wedding business is filled with partnerships. Venues refer brides to certain clients, and clients refer brides to certain venues in return. Ask each vendor if they have a preferred vendors list. Once you have a few of them to compare.. you might find some of your biggest savings here! 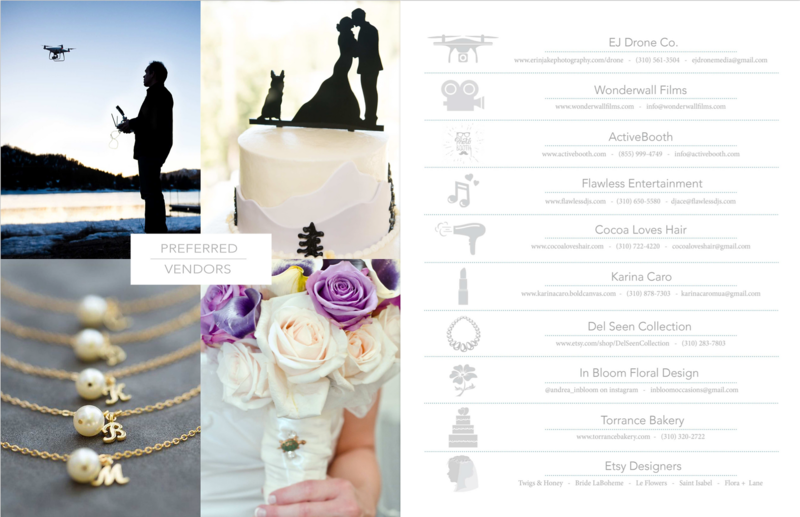 The Erin & Jake Wedding Photography preferred vendors list can be found in our client welcome book. Contact us for a pdf copy of our EJ Wedding Client Welcome Book. i.e. singing at your reception, playing the organ or baking a cake. It’ll make them feel a big part of the day! Save money by spending it on a planner? It sounds counterintuitive, but wedding planners 1) are not shy when it comes to haggling, 2) can draw from years of experience working with brides on budgets, and 3) have working relationships with vendors — all of which can amount to big bucks shaved off your final bill. 10. Read the fine print!!! Before you sign any contracts, be sure to read the fine print very carefully. Does your venue require a certain ratio of staffers to guests? Does the caterer charge administrative fees that aren’t reflected in the original quote? Are rentals included or will you have to shell out for every table, chair, fork, and glass? Will you have to pay a flat per-person rate for booze, or just pay for whatever is consumed? Being aware of all these factors and potential expenses up front will save you from unexpected costs down the line. 11. 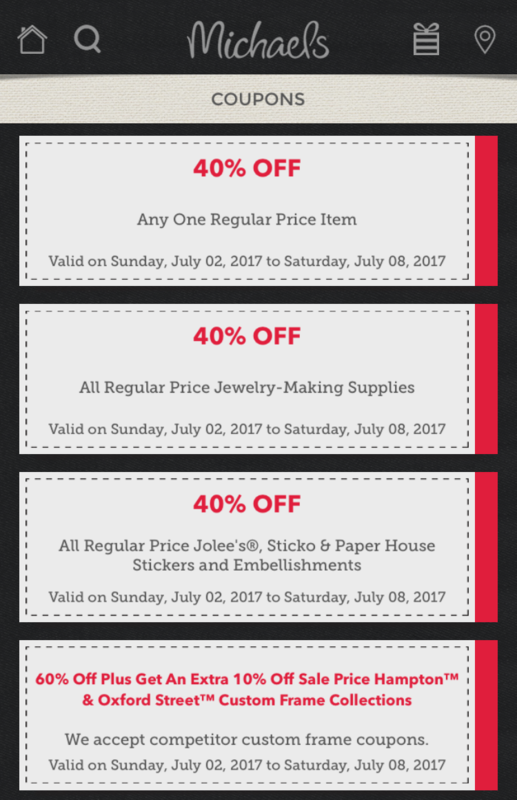 Use coupon codes and app coupons. Got a recommendation from a friend? Maybe they had a great experience with a vendor and you’re excited to consider that florist or baker as well. When you contact a vendor, make sure to mention the friend who referred you. There may be a referral discount (or a bonus for your friend!). For example, with Erin & Jake Wedding Photography. if you refer your friend or family member and they book, you would receive a 10% commission for the referral! 13. Budget three-fourths of your available money. Most experts agree that the most important way to save money on a wedding is budgeting. As much as you’ll want to invest every possible cent in your special day, try budgeting only three-fourths of your available money. When unexpected costs arise, having a financial cushion will keep plans flowing smoothly. If you still come in under budget, you’ve given yourself a nice wedding gift! 14. Talent as a wedding gift. Take advantage of the talents of the bridal party and other friends and family. You have the rest of your lives to be married. You love each other and you want to get married right away, right!? Well, what if we told you a long engagement or taking your time planning could save you thousands of dollars? 16. Pay attention to the fine print. Watch for hidden costs. Make sure that surcharges like cake-cutting are in your contract, in addition to things that you might be charged for after the wedding (like unexpected guests). 17. Follow your vendors on social media. Scoop up deals by subscribing to potential vendors’ newsletters and following them on social media sites – you can often get up to 10 – 20% off. 18. Don’t say the W word. When getting quotes from reception venues, bakeries, florists and other vendors, tell the manager that you’re planning a party or an event, but leave out the “w” word. “If you don’t mention the word ‘wedding,’ the price is often 25-30% cheaper. 20. Don’t get married on a Saturday! Some venues will offer small discounts for Sunday weddings. If you schedule your wedding for a Friday, or on a Holiday weekend, you can possibly save a couple thousand dollars! 21. Find a venue that doesn’t require you to use their vendors. Being able to shop around for the best vendor for your wedding will help you save tons. When you book a venue that requires you to use their vendors, your are often times locked into a lot of venue vendor hidden charges. 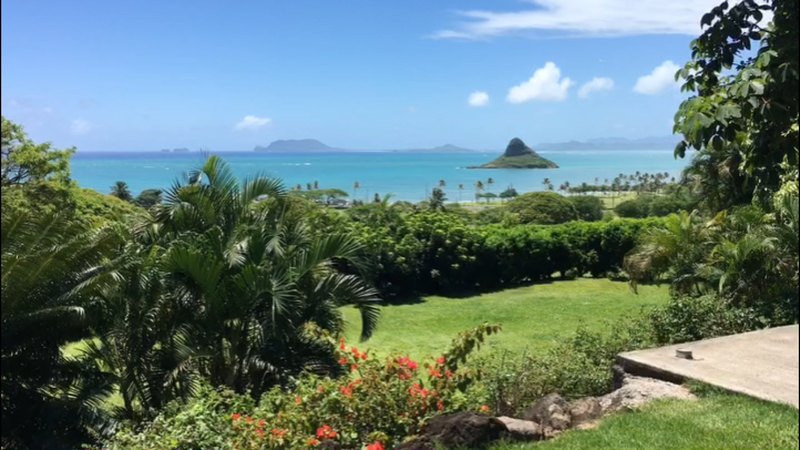 A recent wedding we photographed in Oahu Hawaii, the couple chose their venue, Kualoa Ranch, because they were going to save significantly with outside vendors they found by shopping around. The video below is from our walk through for Kristen & Kevin this past May! Renting a home to host your wedding and or reception can be an intimate alternative that will pad the wallet and save you money. 23. Choose a venue that doesn’t need a lot of decorations. Not only would you save on the money on the venue, by getting married in the morning you would save loads on catering by having a breakfast bar! Finding a bridal look for less is no easy feat, but if you’re willing to borrow accessories over buying brand new, you’ll save a pretty penny. Ask around to your recently married friends, sisters, or cousin for pieces you can take on loan and still feel like a million bucks. 27. Do your own hair and makeup. If you’re not opting for an overly elaborate hairstyle or dramatic makeup, you can save money by doing it yourself. 28. Order your wedding gown early! Order your gown at least eight or nine months out to avoid rush fees of as much as $500 and last-minute alterations of $100 to $300. Better yet! Shop during a designer trunk show to pay $150 to $500 less for your gown. 29. Consider renting or borrowing a dress. Or buy one secondhand; chances are, it’s only been worn once! Look on eBay or craigslist for postings. Often times, if the bride changes her mind about her dress or has to postpone the wedding, you might be able to score a deal on a never-been-worn gown. Don’t splurge on those Jimmy Choos. Explore brands that are good for the wallet yet stylish. Check out outlet malls and discount department stores, but definitely keep comfort a priority. Like lots of our brides, you can bring a borrowed element into your bridal look. Parents or grandparents jewelry and accessories can be beautiful and you can be sure nobody else has the same and that will save you a few dollars. 32. Check out non-wedding vendors. Amazon, Etsy, or DIY wedding party gifts. Bigger tables mean fewer centerpieces and tablecloths. 34. Reuse your ceremony chairs to your reception. Reuse ceremony chairs at the reception. You may have to pay a moving fee, but it will still be cheaper than ordering twice as many seats. Instead of renting expensive linens, top your venue’s standard cotton or polyester tablecloths with a decorative runner and save about $25 per table. If you love specialty linens but can’t afford them for all of your tables, just use them for your head table and cake table. These tables will be the most prominent during your celebration — and will probably be photographed the most. If you plan on having kids at your wedding, ask if their meals are discounted. Caterers will often cut the cost in half or offer a separate menu with less expensive à la carte pricing. To cut staffing costs, consider a buffet. Depending on the caterer, you could save anywhere from $1,500 to $3,000 per 100 guests, and you often get more food for the amount you pay, compared with a plated dinner. 39. Choose a DJ over a live band. While a live band will definitely energize the crowd, a DJ can be just as fun and keep guests on the dance floor — for about a tenth of the price. We highly recommend Ace from Flawless Entertainment. Do you really need a team of bridesmaids and groomsmen? Limit the number in your bridal party to make buying bridesmaid dresses and makeup more manageable – a simple way to keep numbers low is to stick to your family. There are many unexpected costs that can inflate your budget; an officiant can be one of them. If that’s the case for you, consider having your vows administered by a trusted relative or friend. There are a lot of restaurants that offer great pricing for hosting your reception at their location. Or favorite place so far for cost and ambiance appeal is cheese cake factory in Redondo Beach for Zarinna & Robbie wedding. We have noticed a new trend last wedding season.. and it’s a tasty one! Tacos!!! Not only is this a delicious meal option, your wedding guesting will LOVE them and they will save you a TON of money. Win, win! There are a lot of money saving opportunities with alcohol at your wedding. For example, not choosing to have an open bar will save a ton alone. Let your guests toast with whatever you are drinking. You would save significantly not having hard alcohol served at your wedding. We shot a wedding that was gift beer from a brewery, the quests loved it and no one noticed there wasn’t hard alcohol there. It might cost $8,000 to showcase amazing flowers, but only $2,000 to create a lighting concept that makes the room look equally as stunning. Be creative and remember this is your party. You can make the rules. The best way to save money on a wedding is to cut the guest list, hands down! If you have a guest count of 200 people, that’s 20 tables of 10; but by bringing it down to 150, you just eliminated five tables. That means five fewer centerpieces that you need to have, and 50 fewer meals and bar tabs. 49. Put a twist on ‘plus one’ etiquette. Instead of giving all guests older than 18 years old a “plus one,” limit them to couples you socialize with regularly. Professional music not on top of your list? Use an iPod or Spotify playlist for your reception music, but make sure to enlist a friend to monitor it for the evening. 51. Shop Linen on sale. Most rental companies have big linen sales a couple of times a year. Buy what you need, then resell it after the wedding. 52. Arrange for poured service at a sit-down meal vs bottles on tables. The average guest drinks half a bottle of wine, so a 150-person meal will need about 75 bottles – that goes up to 100 if guests pour their own. 53. Say no to tea and coffee at the end of the meal. Very few people will actually have it, no-one will miss it, and it can often cost hundreds if dollars! Maybe offer it at the bar so you only pay for what your guests actually drink! If you’re getting married outdoors, consider a standing ceremony to save on seating. But bring a few chairs for elderly guests. And remember: try to keep it brief! 55. Host a Backyard Barbecue For the Rehearsal Dinner. Host a casual, backyard barbecue instead of a fancy dinner. Think about an afternoon or evening meal, catered or home-cooked, or even potluck. A budget-minded outdoor bash will give everyone a chance to relax before the big day. 56. Book group of hotel rooms in blocks to get the best deals. Utilize group hotel reservation sites to book a block of rooms at a discount. Sites like Jetaport and Hotelplanner make it easy to save money and time when you book in bulk. 57. Get a Day-Of Coordinator Instead of a Wedding Planner. If you find it hard to organize your wedding without a planner, then consider day-of coordinators, who will make sure your wedding day goes off without a hitch. 58. Cup cakes instead of cake! 59. The art of the sheet cake. Order a small one- or two-tier cake and then supplement it with a larger sheet cake (hidden in the kitchen). 60. Buy flowers that are in season. This not only brings the season into your event but it also cuts costs, because your florist won’t have to import any exotic or out-of-season blooms. 61. Include non-floral pieces, like seashells or fruit. 63. Invest in a florist for the most photographed flowers like your bouquet, and DIY the rest! For the men, consider an alternative bouquet and ask your groom to wear a non-flower buttonhole, like a pretty pocket square that accents and enhances the brides bouquet for a high-end look that will save the bank! Yes, your mother will think it’s weird, but more and more often couples are choosing to send every wedding-related correspondence — from save-the-dates to invitations — via email rather than using traditional paper invitations. It might have been considered tacky a few years ago, but now it’s completely acceptable and can save you hundreds (or even thousands) of dollars. 66. The art of the single page. Get single-page invites to save on postage. Skip the save the dates. They’re fun, but not necessary. Cutting these early notices could save you $100 or more — and that’s before the cost of postage. 69. Print your own stationary. If you’re a wiz in Photoshop (or have a good pal who is), then think about designing and printing your own invitations and stationery. It might be more work, but you’ll have the flexibility to choose any printing method that works with your budget, and you’ll have the satisfaction of creating works of art for your big day! 70. Design and print your invite online. 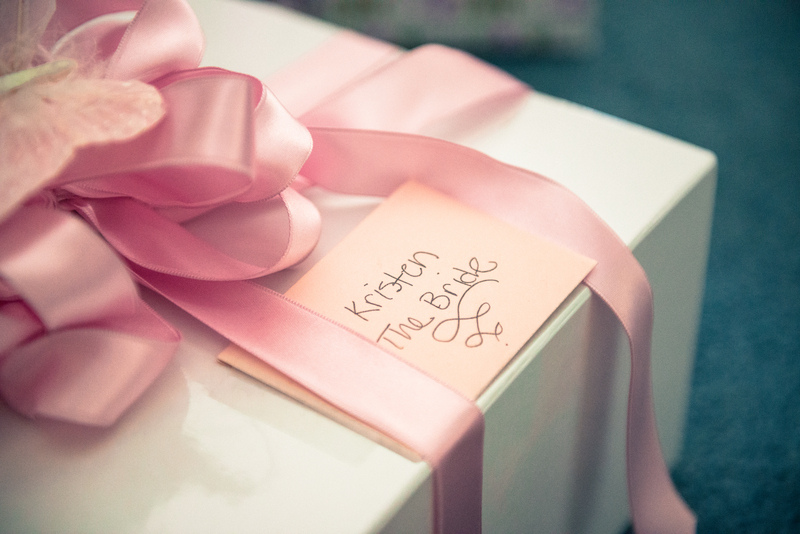 Instead of custom invites, order a DIY printable from a site like www.weddingchicks.com and www.paperlesspost.com. Instead of tangible gifts, leave a note or certificate at each place setting to let your guests know that you’ve made a donation to your favorite charity in their name. If your favor budget precludes you from buying suitable wedding favors, then you can use it to make a difference and share the warm feelings with your guests as well. Don’t want to buy a favor for each wedding guest? Make a charitable donation on behalf of all your guests. That way, you can set the amount you’re comfortable spending, donate to a cause you care about and write off the contribution on your taxes. 72. Go on honeymoon in an off-peak season. Travel during school term times to avoid airline price hikes (and children everywhere) and avoid the most popular periods. For example, the Carribean is best visited in December – March, but that doesn’t mean you won’t get fabulous weather in June too. 73. Consider a travel agent. While travel agents typically charge a couple hundred dollars as their planning fee, they could potentially save you money overall. They often have access to better deals than you can find yourself, and they’re willing to work within your stated budget. Not all travel agents fit this helpful bill, so ask around and get agent recommendations from friends and family. If your house is full of tupperware and you’re not in need of any items, you might want to set up a honeymoon registry. We pick Honeyfund.com because it’s free and easy to use. There are lots of honeymoon registries online, but many of them charge fees. You can list parts of your honeymoon, such as the air ticket and hotel breakfast. The honeymoon registry is a great way for your guests to chip in for an experience gift. 75. Utilize the best credit cards to earn points for your honeymoon. When you’re paying for your wedding expenses, you might decide to use a credit card to enjoy some of the rewards. Before doing so, keep in mind that you should only charge what you can pay off immediately. It’s not worth going into debt for just one day, no matter how special it is. 76. Keep you video simple. Tell your story! Don’t go crazy by making your video really fancy with special effects and sounds, which may distract the viewer. It can also look really cheesy years later. 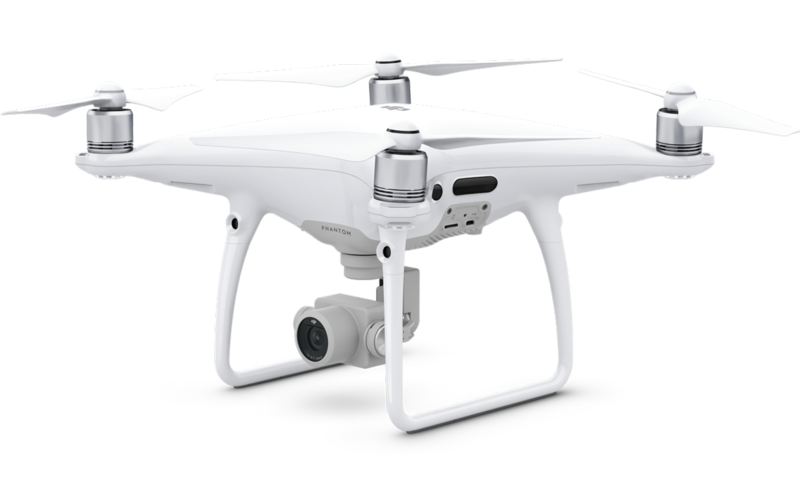 These fancy additions will also cost you more because the videographer will have to spend more time on editing. Stick to a simple DVD case as well or make your own instead. Instead of renting a photo booth for thousands of dollars, create a Polaroid station with a few cameras, props, and tons of film. Let your guests take some shots! It’s just as fun! 79. 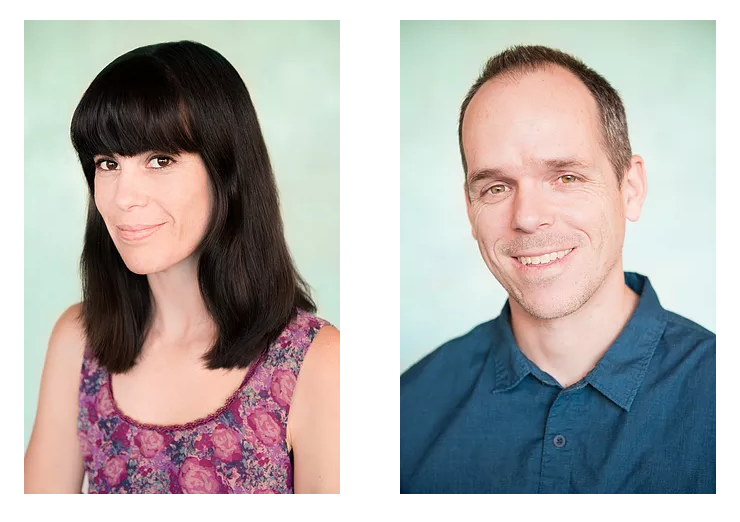 Book a wedding photographer who offers a free engagement shoot. One final money saving tip…. Nowadays, it’s not risqué or taboo to elope. That’s because most people choose to do it because they want to and not because their father doesn’t approve. Eloping has its benefits — a more intimate affair with your other half, no sticky family situations to deal with, a low-cost wedding, zero planning . . . the list goes on. Ultimately, this list provides examples of many things you could do to save money. It is important not to scrimp on every single thing, but to make savings in areas that are not as important to you. Keep your hard-earned cash to spend on the things you will enjoy and remember forever. Of course this is not a definitive list. If you’ve come across other helpful hints and tips, we’d love to hear them and we can add them to our list! Follow us on social media for contests, giveaways, photoshoots , drone footage and more! Pingback: 80 Tips to Help You Save THOUSANDS of Dollars On Your Wedding!